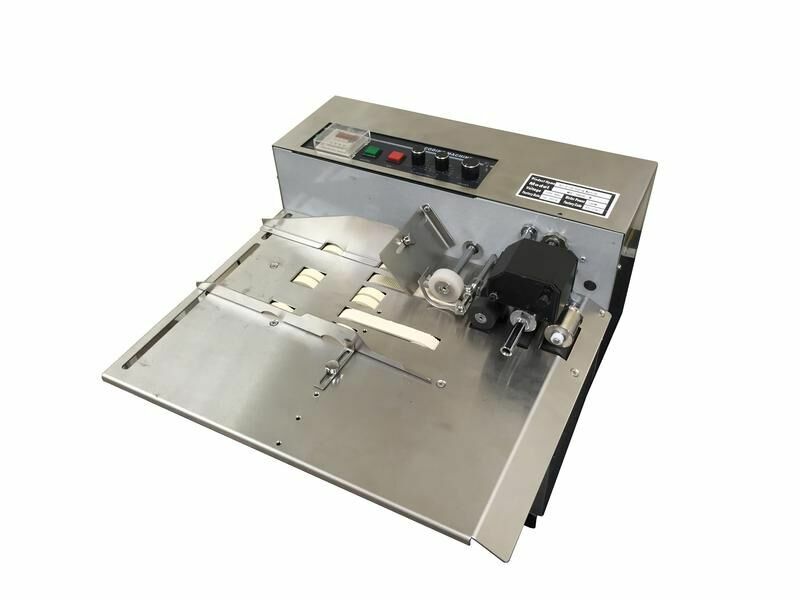 The MY-380F/W is an automatic dry-ink roller coding machine. 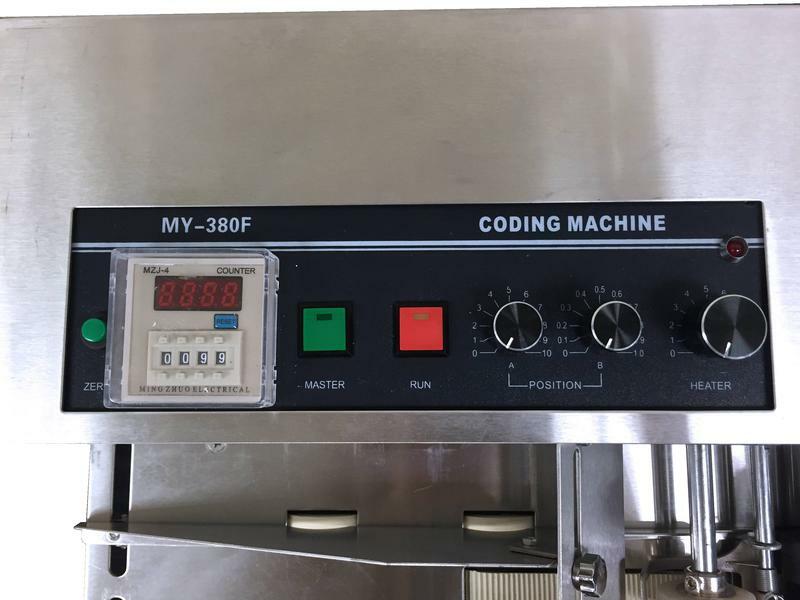 Unlike a hot stamp imprinter, it uses a dry ink roller to print the code on your product. 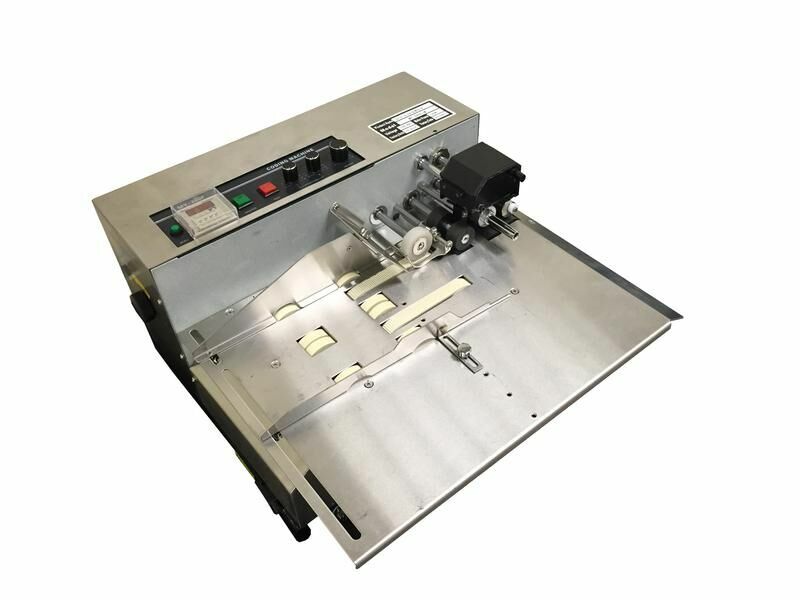 Its length-way printing position is controlled by an electronic device and can be adjusted easily. Ideal for printing most objects ranging in size from 2" to 19" long and 1" to 11" wide. The maximum speed of imprinting is 300 pieces per minute. The maximum printing size is 60mm x 250mm, this can accommodate 5 lines of 10 characters each. Samples of your material may be required to be tested on imprinter before purchase.